U-Boat Worx is the world’s largest manufacturer by specializing in the design and construction of small submersibles. U-Boat Worx’s main focus is currently on producing the C-Quester 3 and the C-Explorer 5. They are all certified for various depths ranging from 100 metres up to a staggering 1,000 metres. The record-breaking manufacturer is committed to building its submersibles in small series, thereby reducing cost and lead times to acceptable levels. A dedicated team of 15 full-time employees, which includes engineers, technicians, purchasers and support staff, continuously caters to the demands of the company’s clients. U-Boat Worx takes great pride in creating these very versatile craft, which can be used for various purposes. 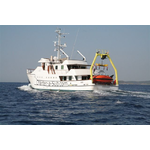 The C-Quester and C-Explorer submersibles are operated from yachts, in tourist ventures, for research missions and for private recreation. All models are certified by the esteemed Germanischer Lloyd. This classification society oversees the design, construction and testing in order to achieve the highest possible safety standards for submersibles. U-Boat Worx is a Dutch company and industry leader in the field of manned submersibles. Our submersibles can be used in offshore and scientific research, but also from leisure purposes. The superyacht market is one of the largest industries at the moment. The submersibles are light-weight and make use of the latest li-ion battery technology and have unsurpassed specifications. The models vary in depth and the number of occupants they can carry. Also many custom projects are done. We are looking for potential clients and partners that can assist us to market the submersibles in their specific market. We are also interested in meeting with people that can help us to explore new markets for our submersibles.